There are countless techniques and lessons we teach by example and hands on training at the Colleges. Here I would like to focus on four tasks that every builder should know as part of having complete mastery of his or her engine. 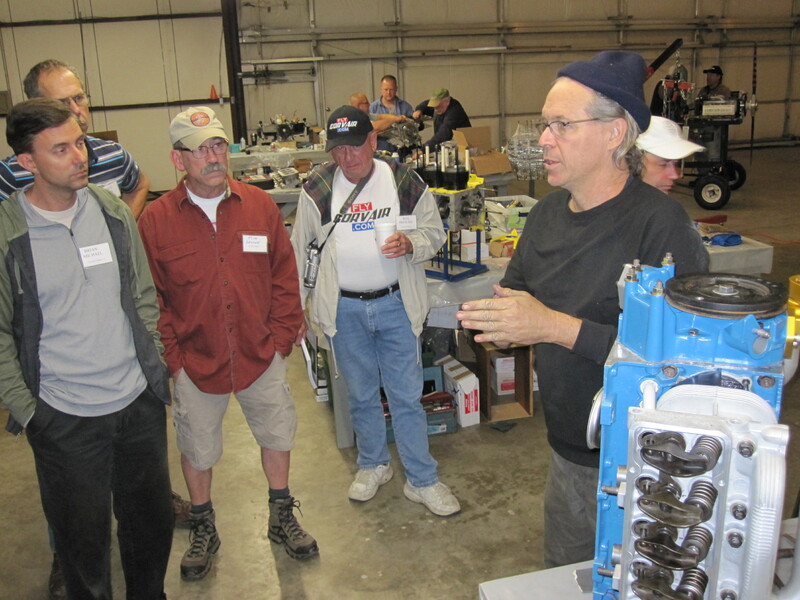 These four skills are 1) Installing and timing a distributor, 2) Running and correctly interpreting a differential compression test and 3) Correctly setting the hydraulic valve lifters. 4) pre-oiling the engine. At the college I will teach these tasks to many groups of builders 5 or 6 people to a group. Part of my learning process it to immediately have builders repeat the process they just observed so I can answer their questions and closely watch how they do to make sure they understand and have possession of the skill. The tasks are not difficult, but the are different. 85% of our builders are from outside the mechanical world. This is an important distinction. My useful definition of working in the mechanical world is simple; Do you pick up hand tools at work nearly every day on the job? The vast majority of homebuilders do not, and I adjust the learning process to accommodate this reality and give many more builders a much better understanding of their power plant. I am a middle-aged, long-haired opinionated troglodyte from rural Florida. If I had to earn a living at any task that involved appearance, political correctness or tolerance of intolerable people, I would live in poverty. If I was also required to have IT skills at these tasks, I would starve. My hat is off to our builders who can thrive at such tasks, you are better men than I. This said, my record says that on the subject of being able to teach people how to master simple aircraft engines, even people from outside the mechanical world, I am pretty darn good. There are a number of factors on why I am good at this. I like people, and I like learning myself. I spent 11 years of my life in college, 8 years full-time and 3 in night school. (This is really ironic because I was expelled from high school on the grounds of poor attendance) I know and love the subject at hand well, and I have honed the transfer of information over 20 years. All of us had teachers who gave the same lecture if there was 50 people 5 people or 2 sacks of potatoes for students. I learned from many very good instructors, and the best always tailor the delivery to the student. After many years I am a keen observer of people learning, and I watch small signals like body language to instantly recalibrate the delivery until message sent=message understood. I may not always look like it, but I am paying detailed attention to builders at colleges. A big College may have 75 builders, and in the 3 days we are there, I am going to adjust the process and delivery to tailor it to each of these 75 individuals. A guy who works with tools every day on the job and is constantly exposed to having to master a physical skill or understand how a mechanical sub system works often picks up something like distributor installation on a simple presentation and observation. People who work at desk jobs or cover non-mechanical subjects for a living gain a lot from directly repeating the task step by step right after observing it. The flexible lay out of the college allows both of these builders to learn at their own pace, at the same time. The primary thing I am watching is that the builder is comprehending and performing the task correctly. Good delivery is important, and the setting is casual, but I don’t just assume that people got it. I ask people to perform the task, and then I will often ask them to show it and explain it themselves to another builder. This is the best confirmation that they have real possession of the skill. 2) Run and correctly interpret a Differential compression test. Just yesterday I got a letter from a builder referencing a compression test saying that he had compressions “between 165 and 180 psi” These are automotive numbers not differential compression numbers. Aircraft numbers look like 78/80 or 76/80 etc. I can’t say it enough times, but an auto compression test is like a stethoscope, and a differential compression test is like an MRI and a CAT scan. Which do you think are more powerful tools? Every annual on a certified aircraft requires a differential compression test. The tool is about $70. The most important thing I know about a guy who has a running engine but still sends me automotive numbers is that he isn’t learning anything: he is resisting treating the engine as an aircraft engine; he wants to ‘show me’ how he and his local buddies have always done it. This type of resistance to learning new processes usually just means the guy is stubborn. In aviation, this type of attitude isn’t just tiresome, its dangerous. Being willing to learn how to use a differential compression tester sets you apart from people with shade tree mindsets. 3) Set the hydraulic valve lifters. This is descriptively covered in the manual and it is visually covered on engine building DVD#3, But it is best covered in person. Increasingly people work at jobs that require little manual fidelity and feel. Right now I am typing this on a keyboard that will produce the exact same character if I lightly tough the key or I hammer down on it. We drive cars that are dumbed down with things like ABS and handling characteristics to protect the poorest or most impaired of operators. thankfully, flying is still very far away from this. So is building things with your hands, where feel counts. Setting the valves is an easy skill but if someone is coming from the ‘touch doesn’t matter’ world, they have to slow down a little and get the feel of what is going on. There are 12 of them per motor, and you can set each one several times to get the feel of this, it isn’t a task that you do just once per motor, nor a skill that has to be done in a short time window. Once set, they are good for the life of the engine and never need to be readjusted. 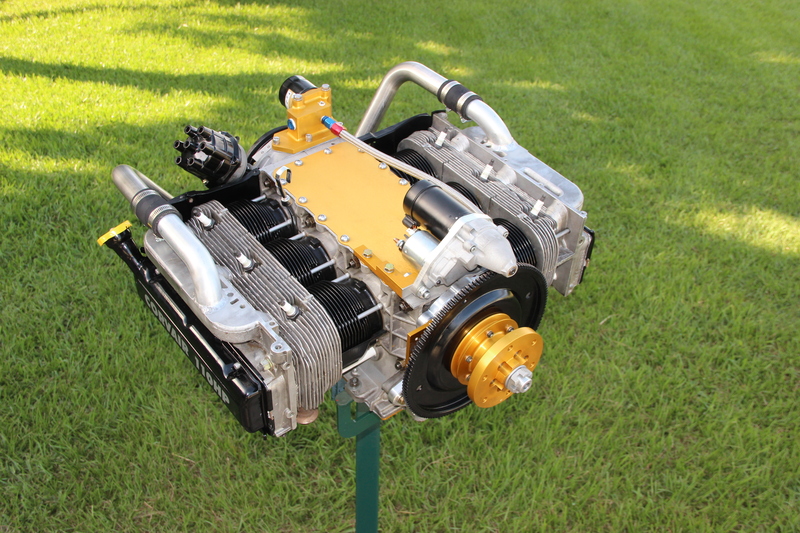 Very special deal on “E-I-B” 2,775cc Corvair ‘Kit’ engine with Billet Crank. 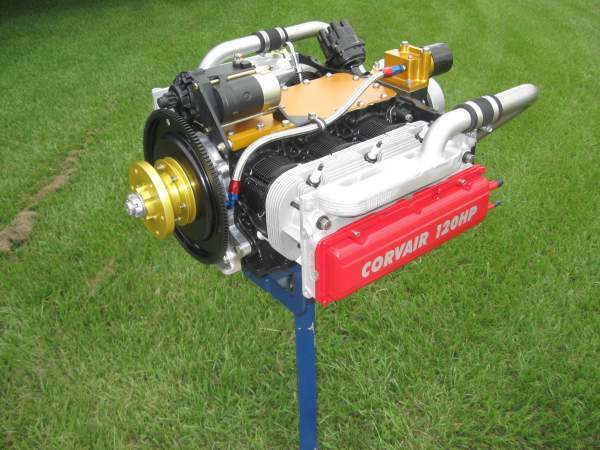 If you have been thinking about assembling a very high end 105-110 HP Corvair for your project, we have an outstanding, one of a kind offer, this week only, on a SPA “Engine in a Box” complete kit engine. SPA Engine in a Box kits come with every single engine part, but they have a wide variety of options. However, the centerpiece of this kit is a SPA made in the USA, new Billet Crankshaft. ( 2012 story: Billet Cranks Made In The USA– 2018 story:SPA Billet Corvair Cranks) Almost all other parts in the kit are brand new also, just a few items, the case halves, the basic head castings and the accessory case casing are original remanufactured parts. Virtually all else is new, made in the USA. 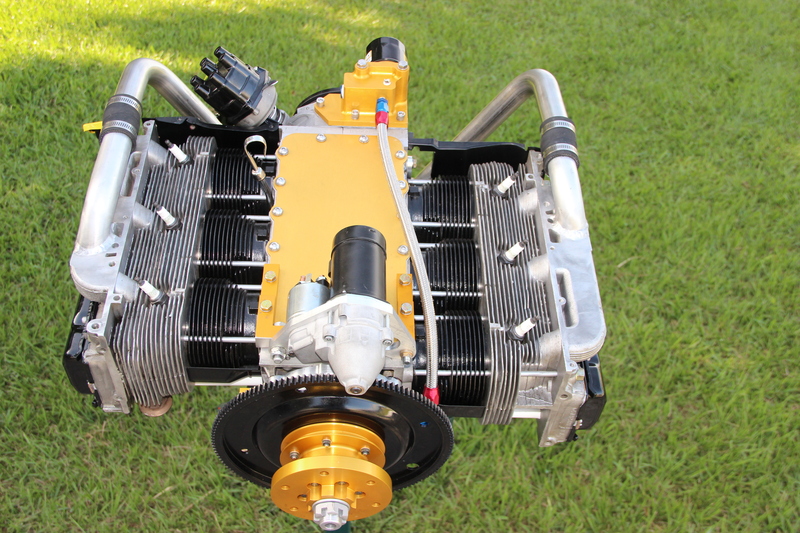 All EIB kits have the available option of having the bottom end assembled for an additional $600. We also offer final assembly on engines and test runs for $1,400. 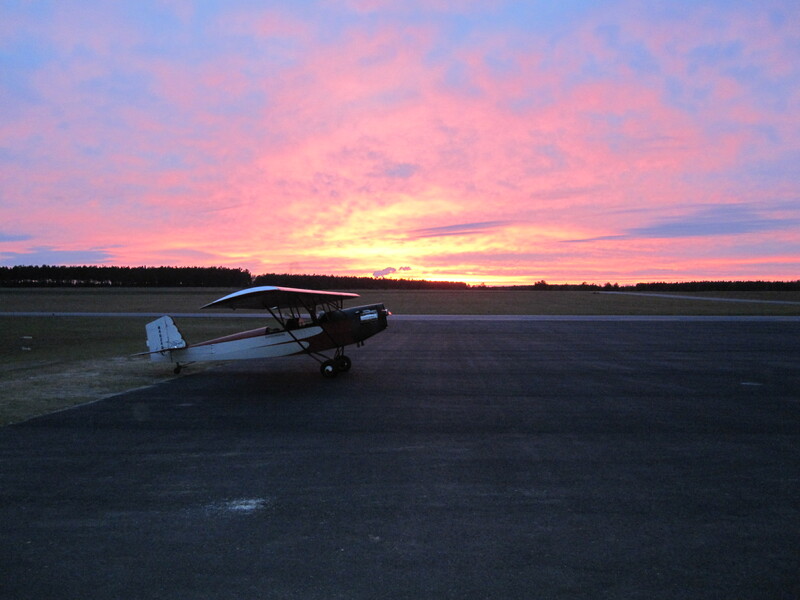 In the case of this particular engine, SPA is waiving the bottom end assembly fee, and I am offering an exclusive, one on one weekend training, final assembly and test run for the purchaser, at my own hangar, at no charge. How much is this this billet crank EIB kit? Until 11/10/18, the first builder who pays for it will get it. When do I have to come for the training? The engine has to be paid for now, but the training offer is good for the next 5 months. Can I fly in commercial and have the test run engine shipped to me? 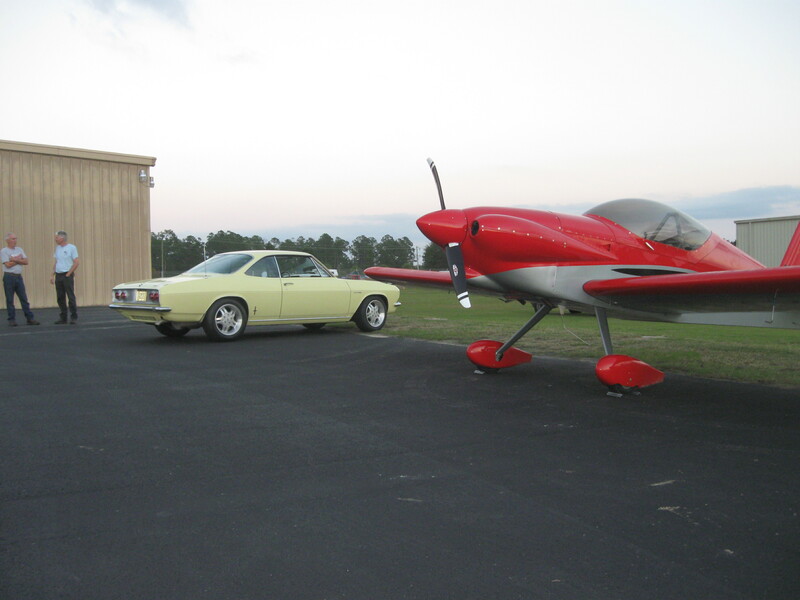 Yes, you can fly in to Jacksonville FL, and we will do the work at my hangar. The engine owner is responsible for the crating and shipping charges, but we have access to very reasonable rates on this. Can I bring my spouse, kid or friend to the weekend? If I can’t make it to your shop, can I have the engine assembled, run and shipped? I will assemble and test run it myself, but the buyer is still responsible for crating and shipping fees. Do I owe a core fee on this engine? No. There has been a core on previous EIB kits, but it is waived for the offer, on this engine kit. 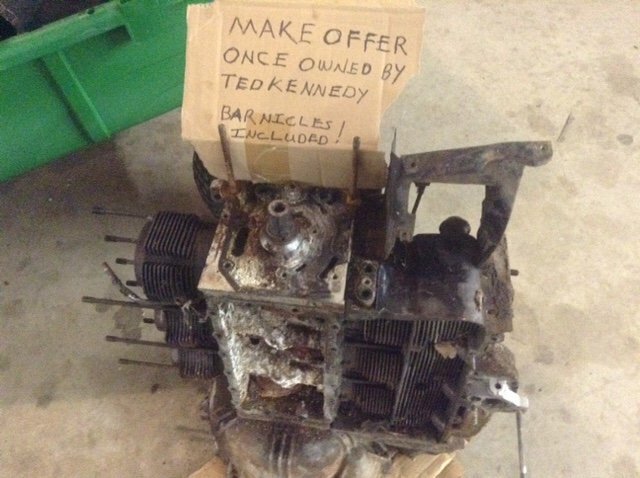 Who do I contact about buying this engine? 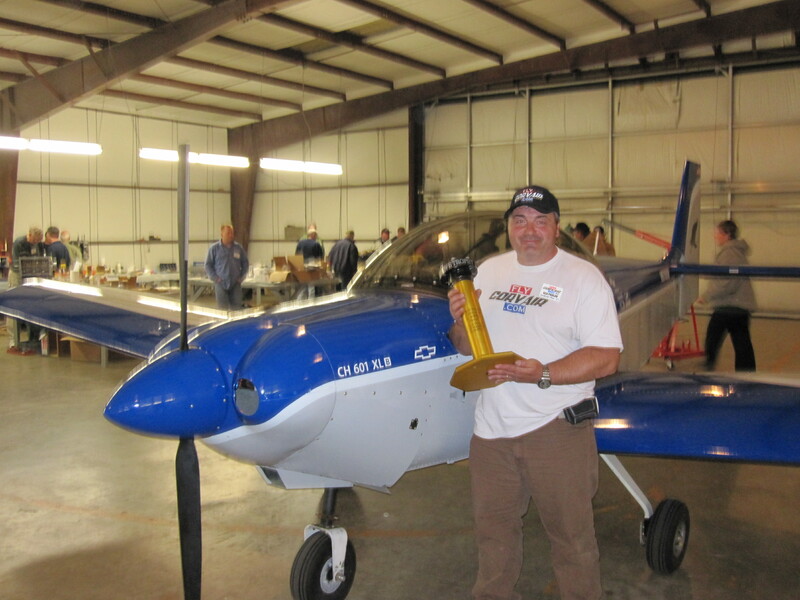 Who do I complain to if I want the engine, but wait too long, and I have to read the story about the guy who bought it and see the pictures of him doing the CMP- (“Captain Morgan” Contest at #39) outside William’s hangar? I understand that SME (Spilled Milk Enterprises) offers a special ‘self anger and loathing’ seminar on Regret Island in the Bahamas next year. You will have to make your own reservations, but they will have mechanical grief counselors on staff. Above, Front quarter view of a 2,775 engine built in our shop. When assembled, the EIB kit engine will look just like this one. 2,775 cc Pistons are here.